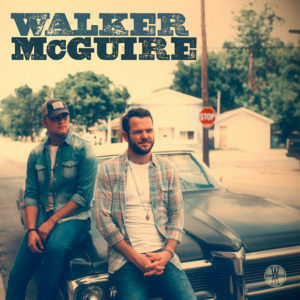 Walker McGuire – EP Reviewed: Duo’s debut release has radio-friendly harmonies well-worth checking out! Walker McGuire’s self titled EP is a perfectly formed, radio friendly introduction to this beautifully harmonised duo. The two guys met at a writer’s round a matter of days after moving to Nashville, but their deeply soulful harmonies will have you believing they’ve been singing together their whole lives. Exactly a year ago, Rolling Stone listed them in Top 10 Country Artists You Need to Know for February and their lead single ‘Til Tomorrow’ has already been listened to over 23 million times on Spotify, which isn’t bad for a duo who’ve only just released their first EP. The opening single is ‘Mysteries of the World’ which they have said is one of their favourites on the EP. It’s a love song exploring life’s general mysteries and how their lover still appears to be a beautiful mystery to them. It’s melodic and has a soft pop feel to it and it showcases their harmonies brilliantly. Their deep Southern accents gives this fresh pop song it’s country feel and it has the right amount of build up to get you singing along. This is followed by ‘Lost’ which was co-written by one half of Sugarland, Kristian Bush, and is their new single. This song fuses together their pop, soft rock, and country sound smoothly. The big chorus makes you want to get lost with them. ‘But every time I taste your kiss I get, Lost, like I am right now, girl, Lost, and I don’t wanna be found, girl.’ This song has an easy, summer feel to it and is one to get stuck in your head. ‘Til Tomorrow’ is the lead single from this EP and has been having its fair share of radio play. It’s a great, classic break-up song, with a little twist. It tells the typical country tale of a guy going to the bar now he’s over his ex, only he’s not…just yet. He’s having fun tonight knowing he’ll remember all of his heartbreak tomorrow. 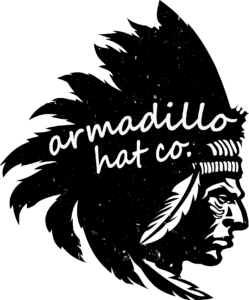 It’s a catchy song and demonstrates their pop-country style perfectly. It has a brilliant build up to the chorus where you get to hear their beautiful harmonies as well as some standout solo singing. It’s the perfect country-pop track. The final track is ‘Best Kinda Bad’. This song shows how well their different influences mesh really well together; you can really hear their difference influences in their vocals. And listen out for their Free Fallin’ reference, it shows how brilliantly their voices sound together and is a standout moment for me. This song showcases their rock influences with heavier guitars and they give the music a bigger chance to shine. It’s a great way to end the EP. This is a really good introduction to these guys, as you can really feel their multi-genre influences as well as their killer vocals. The only real downside for me is that it feels a little one note, as it feels mostly upbeat and filled with catchy lyrics. I’d be really interested to hear what they do with a full length album and to hear them explore their different personalities in more songs. They do explore slower songs, but I’d love to hear a full on ballad from these guys. I definitely agree with Jordan when he says ‘if you took Keith Whitley and Tom Petty and intersected them at Matchbox 20, that’s kind of what we’re going for.’ And if that’s the mash of genres you love listening to, then I’d highly recommend these guys and this EP. Lanco: We speak to guitarist Eric about hitting number one, learning out on the road and heading to the UK for C2C!